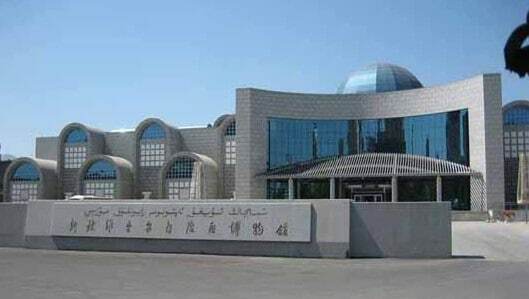 A visit to Xinjiang’s capital of Urumqi would be incomplete without a visit to the Xinjiang Uyghur Autonomous Region Museum (新疆自治区博物馆) or the “Xinjiang Museum” for short. 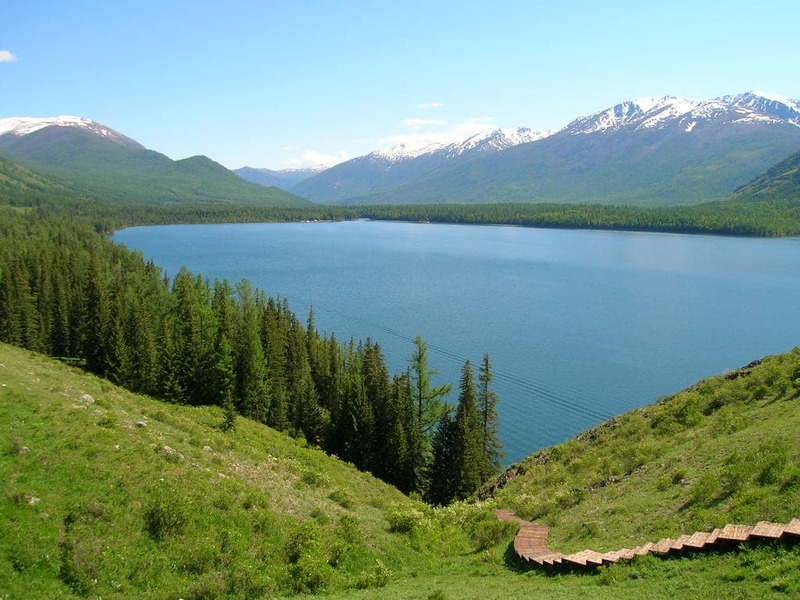 It is by far the best museum you’ll find along the Silk Road and is home to some of the area’s most famous and controversial artifacts: the Xinjiang mummies. Located north of town on the west side of Xibei Lu, the museum is easily accessible by bus or taxi even though it’s not in the city center. Those who visited prior to 2000 may remember an older building of Uyghur style that lasted almost 50 years but has since been torn down and replaced by a modern complex that lacks a certain…well…local flavor. Regardless of what you think of the building’s architecture, there’s no doubt that most of the exhibits are worth the effort of a visit. If you’re a Silk Road aficionado, plan to spend an entire day here. The two-story museum is laid out into 4 sections – Silk Road, Ethnic Minorities, Mummies & Motherland – with a domed entrance hall in the center. One of the first things you’ll find when you enter the Xinjiang Uyghur Autonomous Region Museum is a giant, round, relief map of Xinjiang. [update 2015: this relief map has now been removed] This map will lay the foundation for your understanding of the Silk Road, so take some time to check it out! It’s important to see how mountain ranges, deserts and other topographical features played a key role in Xinjiang’s history. Urumqi’s rise as the capital of the region had more to do with geographical location, and this map will show you why. Keep in mind that Xinjiang is China’s largest province – this map represents an area larger than Texas and California combined! If you’re pressed for time and trying to plan your trip to the museum, make sure to put aside most of your time for the Silk Road exhibit. Spanning thousands of years of history, this section contains an incredible number of artifacts that have been excavated over time. The Silk Road exhibit is on the right side of the first floor and is marked by a long corridor that is meant to make you feel like you are walking back across the sands of time. The truth is that much of what you see in this exhibit was actually buried and preserved in the sands of the Taklamakan Desert, including rugs, skulls and even food. Most of the actual places where these artifacts were excavated are either closed to the public or so far off the beaten path that it would take you days just to visit. Thankfully many of the exhibits not only shows the artifact, but also a picture of the area where it was found. 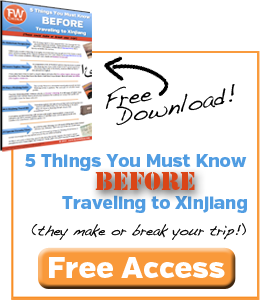 Best of all, everything is translated into English to make it easier on foreign tourist to enjoy! One the left side of the first floor is another fascinating exhibit that details the lifestyles, clothing, instruments and customs of each of Xinjiang’s 12 ethnic minorities. The Uyghur minority is obviously the most prominent here with replicas of a courtyard home, displays of hats, multiple instruments and traditional Uyghur clothing. Further into the exhibit, however, you’ll learn a bit more about the Kazakh (and their yurts), the Hui, Tuva, Xibe and other minorities. Many of these groups are confined to small areas of the province – often the edges – so this might be your only chance to get to know them. Above the Silk Road exhibit on the second floor sits the Mummies exhibit – a quick stop but certainly a necessary one. This is the signature exhibit of the Xinjiang Uyghur Autonomous Region Museum and it’s a sight to behold. When I hear the word “mummy” my first thought is to the Egyptian burial process of wrapping a dead corpse prior to burial. 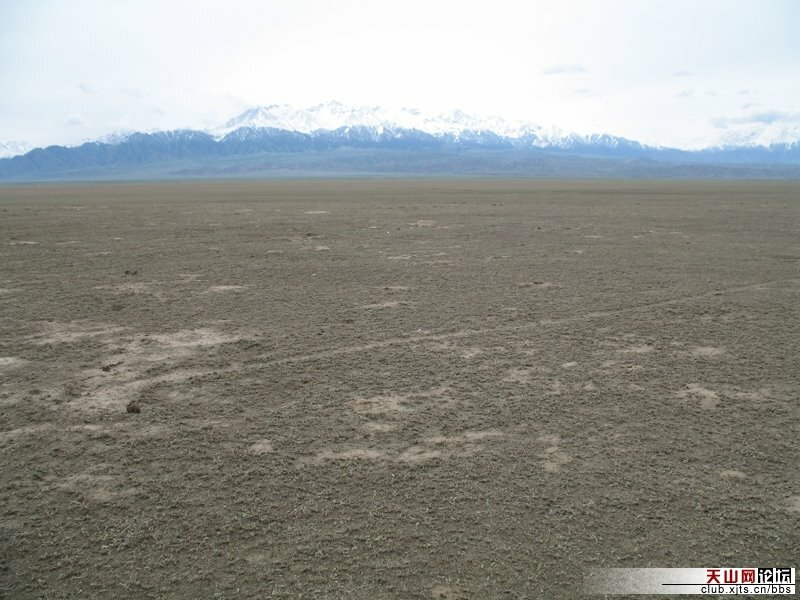 In Xinjiang, however, the hot and dry conditions in the south of the province served to naturally mummify bodies buried thousands of years ago. The first glass case you run across is the crown jewel of the exhibit – the Loulan Beauty. Excavated north of the Lop Nur area (south of Urumqi) in 1980, she is one of the oldest and most well-preserved mummies in the world. You can see her delicate lips, thin eyelashes and red hair despite being dated at 1800 BCE. She’s also a bit of a controversial figure. Her lack of Chinese features or characteristics tend to disprove that “Xinjiang has been an inalienable part of China” according to propaganda. But contrary to what many Uyghur say, the Loulan beauty does little to substantiate their historical claims to the region. If anything, these mummies prove that Xinjiang has been a melting pot of ethnic groups for most of its history. Other mummies are rotated on display and they sometimes leave the museum as a traveling exhibit (such as the time it went to the Penn Museum). If there’s one part of the museum that you should skip, this would be it. Aside from the fact that everything in this exhibit is unashamed propaganda, it’s also not very well laid out. Much of it also wasn’t translated into English. Those looking for nearby accommodation should check out the Sheraton Hotel across the street which is a luxury 5-star option. Another excellent option is the Yindu hotel a few bus stops away. Have you been to Urumqi’s Xinjiang Uyghur Autonomous Region Museum? What did you think was worth your time and what was a complete waste? admission to provincial/regional capital level museums across china is now free of charge since a few years ago. I’ve been to this museum twice in recent years and haven’t had to pay for admission. don’t think the no cameras policy is strict either as I could still recall many chinese tourists snapping away at the loulan beauty exhibit. 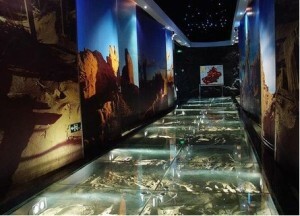 the museum’s definitely worth a visit for travelers that are transiting through urumqi to other cities in xinjiang ! Interesting…I’ve never paid to go through the museum either, but I always go in the winter anyway. I’ll have to do some research to see if they’ve taken away the admissions fee. Thanks for the heads up! As for the camera rule, if you’re walking in with a huge SLR camera with a long lens, you’ll get stopped like I did. One that you can fit in your pocket? Probably not. Ürümchi’s Xinjiang Museum is definitely worth visiting, but one should bear in mind that everything inside will stick to the official RPC history political line. So do not expect more than “China has always ruled this region since ancient times and all nationalities live harmoniously together under the happy CCP rule”. The preface warns you : it ends with “We have selected a batch of fine works for the purpose […] to make the masses of audiences receive the education in patriotism”. The artifacts are really amazing, and the propaganda is in the end a tiny annoyance compared to the fascination you’ll experience looking at the mummies. I couldn’t visit the Motherland exhibit in August 2012, because the hall was being renovated. Don’t know it it’s still closed. I was shocked when I saw where the note about Uyghurs is located in the Ethnic Minorities Exhibit : just between the fire-extinguisher and the electrical box. Last but not least, the Kirghizs are mislabelled in the exhibit : they are refered to as Khalkhas in the English note (the Uyghur one is correct, and I can not read Chinese glyphs). You’re absolutely correct, Remi. The whole purpose of the museum is to strengthen China’s claim to the region, but as long as you keep that in mind as you walk through, you’ll easily recognize any of the propaganda. The artifacts are still incredibly interesting! 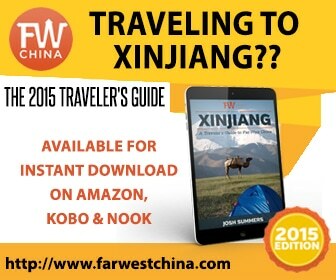 China’s claim to Xinjiang is actually very strong and dates from the Han Dynasty, when the Western Han wrested the area from the Xiong Nu. 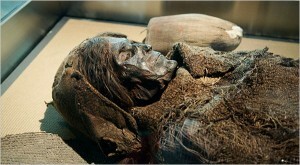 It is not surprising that caucasian mummies are the norm as the area was populated by the Indo-European Tocharian peoples. Chinese control over Xinjiang collapsed after the fall of the Eastern han, but resumed after the Tang re-conquered the area. The area was then incorporated into the Uighur Empire after the Tang gave permission to them to take over. The Uighurs were a Turkic tribe from Mongolia with East Asian features. The UIghurs of today are a mixture of the original Tocharians, Han Chinese, Uighurs, Mongols etc etc. Uighurs from Turpan and Hami look more East Asian, while those from the South look swarthy and Mediterranean.Of course, central Chinese control was again re-established during the Qing Dynasty. Yeah, Rémi is right on the mislabeling of Kyrgyz as Khalkha. I was just in the regional museum on Sunday and couldn’t believe that mistake. The Uyghur (قىرغىز, or Qirghiz) is correct, and the Chinese ((柯尔克孜, or ke‘erkezi) is also correct. A friend of mine pointed out, when I posted about the confusion on Facebook, that it was probably the result of a very poor attempt to distinguish between the Kyrgyz of Kyrgyzstan and the Kyrgyz of Xinjiang–but picking the name for Khalhka Mongols is a rather bizarre way to do that, and it would be fascinating to know who made the mistake and why/how. Josh, I think the exhibit you’ve labeled as Kazakh is actually the Kyrgyz (or Khalkha, har); it’s fresh in my mind since I was just there a few days ago. The Kazakh exhibit is in the second biggest space in the hall (probably meant to point to their larger population in comparison to some of the other ethnic groups, though obviously not as prominent as the Uyghur), located directly behind the Uyghur exhibit. Sweet! Cheers for this, going to urumqi for 5 days tomorrow, dying for it.! we went to the museum in April 2014 can’t remember if we paid or not but it wasn’t very much if so. All the Chinese visitors were taking tons of photos so we did too. We went to see the Mummies mainly – slightly disappointed in the ‘Beauty’ – they can’t have taken very good care of her since her initial discovery in 1901 by Sven Hedin but interesting nonetheless as she has definite caucasian features. Loads of other artefacts in the musem – we spent a whole day there – absolutely fascinating! 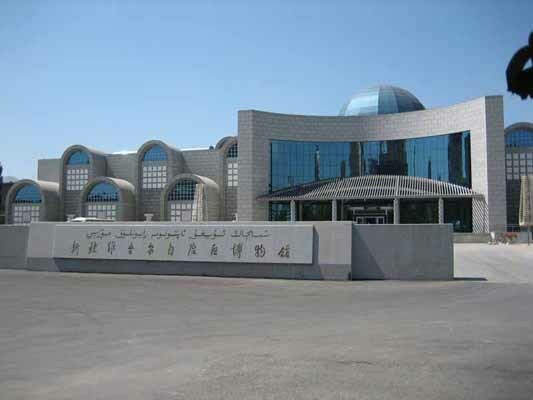 Urumqi’s Xinjiang Autonomous Regional Museum – opening hours and days – I will be visiting the city on the afternoon of Thursday 8 October and the morning of Friday 9 October 2015 and am very keen to see the mummies. I’ve read elsewhere that the closing times are extended to 7 pm on some days throughout the summer. Can you please confirm. Thanks. Hi Maree, the opening hours are specifically stated in the article and have remained the same. Hope that helps!